It can be quite daunting to produce a policy analysis paper or blog post for the first time. You learn about the constraints of political communication by being obliged to explain your ideas in an unusually small number of words. The short word length seems good at first, but then you realise that it makes your life harder: how can you fit all your evidence and key points in? The answer is that you can’t. You have to choose what to say and what to leave out. You also have to make this presentation ‘not about you’. In a long essay or research report you have time to show how great you are, to a captive audience. In a policy paper, imagine that you are trying to get the attention and support from someone that may not know or care about the issue you raise. In a blog post, your audience might stop reading at any point, so every sentence counts. There are many guides out there to help you with the practical side, including the broad guidance I give you in the module guide, and Bardach’s 8-steps. In each case, the basic advice is to (a) identify a policy problem and at least one feasible solution, and (b) tailor the analysis to your audience. So, for example, I ask you to keep your analysis and presentations super-short on the assumption that you have to make your case quickly to people with 99 other things to do. What can you tell someone in a half-page (to get them to read all 2 pages)? Could you explain and solve a problem if you suddenly bumped into a government minister in a lift/ elevator? It is tempting to try to tell someone everything you know, because everything is connected and to simplify is to describe a problem simplistically. Instead, be smart enough to know that such self-indulgence won’t impress your audience. They might smile politely, but their eyes are looking at the elevator lights. Your aim is not to give a full account of a problem – it’s to get someone important to care about it. Your aim is not to give a painstaking account of all possible solutions – it’s to give a sense that at least one solution is feasible and worth pursuing. Your guiding statement should be: policymakers will only pay attention to your problem if they think they can solve it, and without that solution being too costly. Who is your audience? Our discussion of the limits to centralised policymaking suggest that your most influential audience will not necessarily be a UK government minister – but who else would it be? How manipulative should you be? 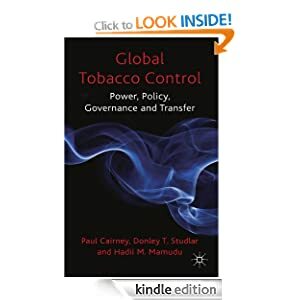 Our discussions of ‘bounded rationality’ and ‘evidence-based policymaking’ suggest that policymakers combine ‘rational’ and ‘irrational’ shortcuts to gather information and make choices. So, do you appeal to their desire to set goals and gather a lot of scientific information and/or make an emotional and manipulative appeal? Are you an advocate or an ‘honest broker’? Contemporary discussions of science advice to government highlight unresolved debates about the role of unelected advisors: should you simply lay out some possible solutions or advocate one solution strongly? For our purposes, there are no wrong answers to these questions. Instead, I want you to make and defend your decisions. That is the aim of your policy paper ‘reflection’: to ‘show your work’. Show how your understanding of policymaker psychology helped you decide how to present information on problems and solutions. 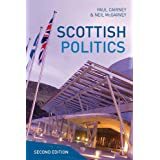 Extract insights from policy theories, such as from punctuated equilibrium theory on policymaker attention, multiple streams analysis on timing and feasibility, or the NPF on how to tell persuasive stories. 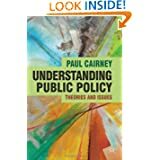 Explore the implications of the lack of ‘comprehensive rationality’ and absence of a ‘policy cycle’: feasibility is partly about identifying the extent to which a solution is ‘doable’ when central governments have limited powers. What ‘policy style’ or policy instruments would be appropriate for the solution you favour? With a blog post, your audience is wider. You are trying to make an argument that will capture the attention of a more general audience (interested in politics and policy, but not a specialist) that might access your post from Twitter/ Facebook or via a search engine. This produces a new requirement, to: present a ‘punchy’ title which sums up the whole argument in under 140 characters (a statement is often better than a vague question); to summarise the whole argument in (say) 100 words in the first paragraph (what is the problem and solution? ); and, to provide more information up to a maximum of 500 words. The reader can then be invited to read the whole policy analysis. The style of blog posts varies markedly, so you should consult many examples before attempting your own (compare the LSE with The Conversation and newspaper columns to get a sense of variations in style). When you read other posts, take note of their strengths and weaknesses. For example, many posts associated with newspapers introduce a personal or case study element to ground the discussion in an emotional appeal. Sometimes this works, but sometimes it causes the reader to scroll down quickly to find the main argument. Consider if it is as, or more, effective to make your argument more direct and easy to find as soon as someone clicks the link on their phone. Many academic posts are too long (well beyond your 500 limit), take too long to get to the point, and do not make explicit recommendations, so you should not merely emulate them. You should also not just chop down your policy paper – this is about a new kind of communication. Hopefully, by the end, you will appreciate the transferable life skills. I have generated some uncertainty about your task to reflect the sense among many actors that they don’t really know how to make a persuasive case and who to make it to. We can follow some basic Bardach-style guidance, but a lot of this kind of work relies on trial-and-error. I maintain a short word count to encourage you to get to the point, and I bang on about ‘stories’ in our module to encourage you to make a short and persuasive story to policymakers. This process seems weird at first, but isn’t it also intuitive? For example, next time you’re in my seminar, measure how long it takes you to get bored and look forward to the weekend. Then imagine that policymakers have the same attention span as you. That’s how long you have to make your case! Here is the advice that my former lecturer, Professor Brian Hogwood, gave in 1992. Has the advice changed much since then? Thanks Paul. Very useful to know.